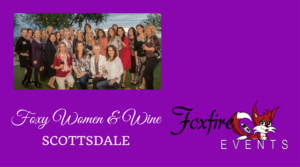 JOIN US in Scottsdale to build professional relationships & even friendships at Foxy Women & Wine Scottsdale! This monthly gathering is unique, fun and always proves to be time well spent! The professionals you meet here are successful, savvy and genuinely friendly women. We visit a different venue on the 3rd Tuesday of each month, always from 5-7pm. This month we are hosted by the beautiful Marriott McDowell Mountain located in North Scottsdale! We can’t wait to see you there! Get your tickets here today to avoid the line at the door! All ladies welcome! Invite your friends!